Our lowest priced but nonetheless efficient system is the little brother of the better known ALritma T (the latter is very high performance and equipped with touchscreen controls). 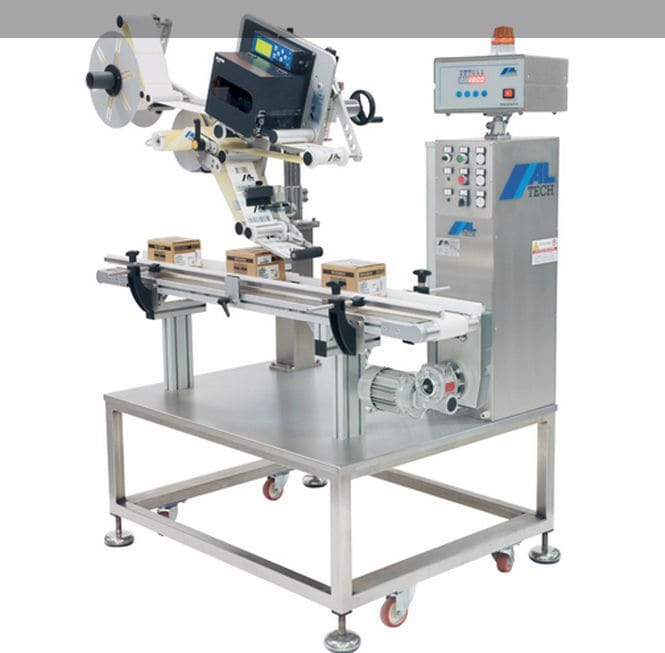 The ALstep T print-apply labelling system is based on our extremely popular and proven ALstep applicator, coupled with the tried and tested SATO LT408 thermal-transfer print unit (200 dpi resolution - up to 6"/sec print speed), with unrivalled results in terms of value for money and performance. ALstep T features a powerful 6-crt LCD controller, which allows all labelling parameters to be set digitally, without the need to move any sensors as required by inferior machines or real-time print-apply units. 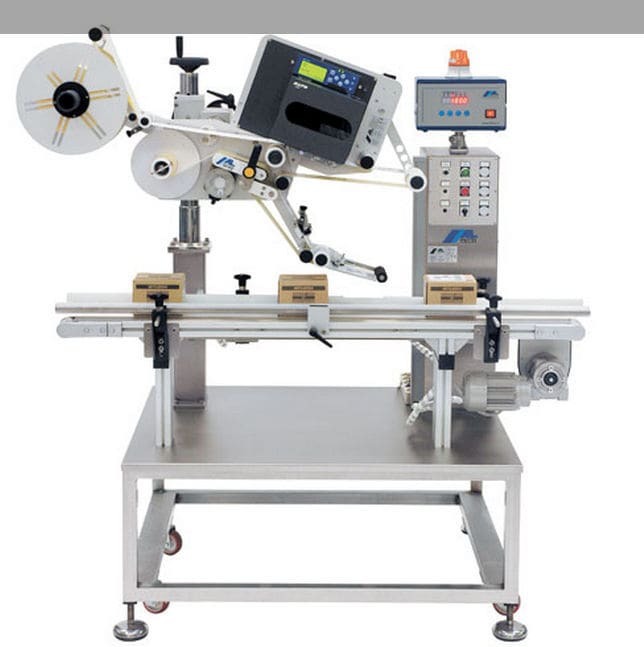 These include the possibility to enter the label positioning delay in millimetres, which significantly simplifies product/label format changes. 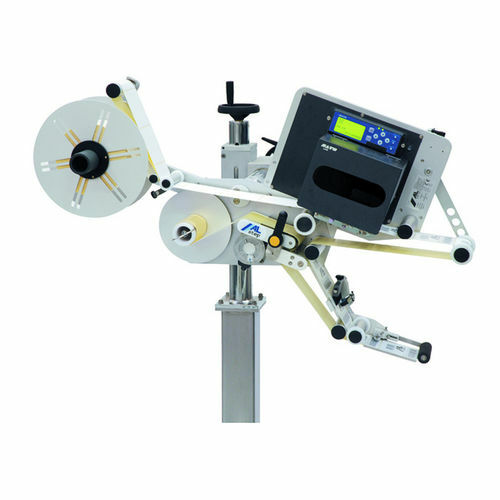 Note that, unlike most print-apply systems, the ALstep T maintains the ability to operate as a stand-alone applicator whenever you wish only to apply pre-printed labels, a characteristic which makes it extremely flexible. 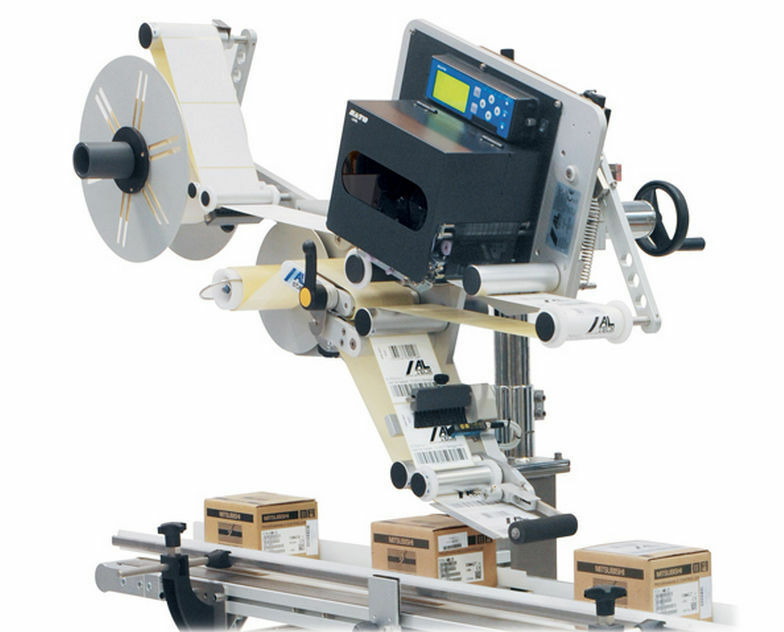 The available functions and optional components are the same as for the ALstep label applicator.